I had occasion to visit this amazing sanctuary recently. 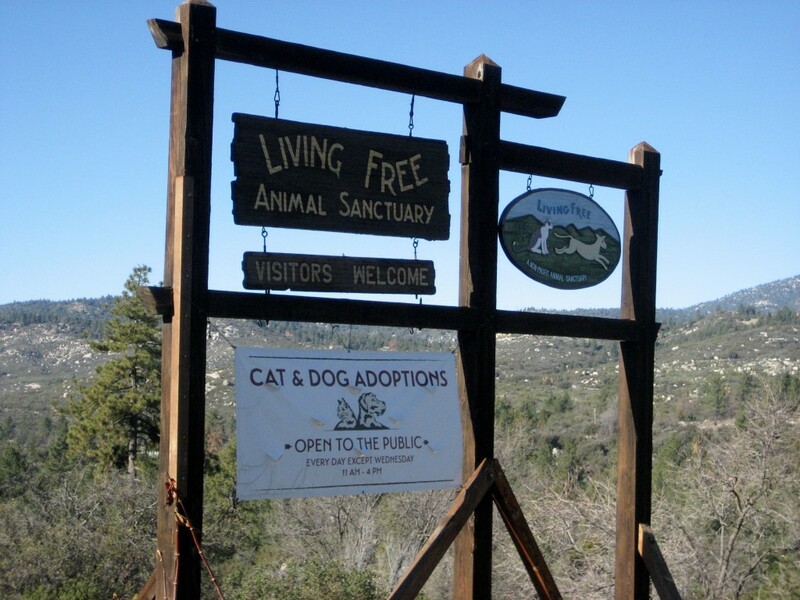 The Living Free Animal Sanctuary was founded by Emily Jo Beard whose inspiration was Albert Schweitzer. Like Schweitzer, she believed that justice was meant for all, humans and animals alike. It was moral courage Emily believed in, standing up for animal rights as a guardian, not an oppressor. Located in Mountain Center, CA, in 1980, Living Free was born. 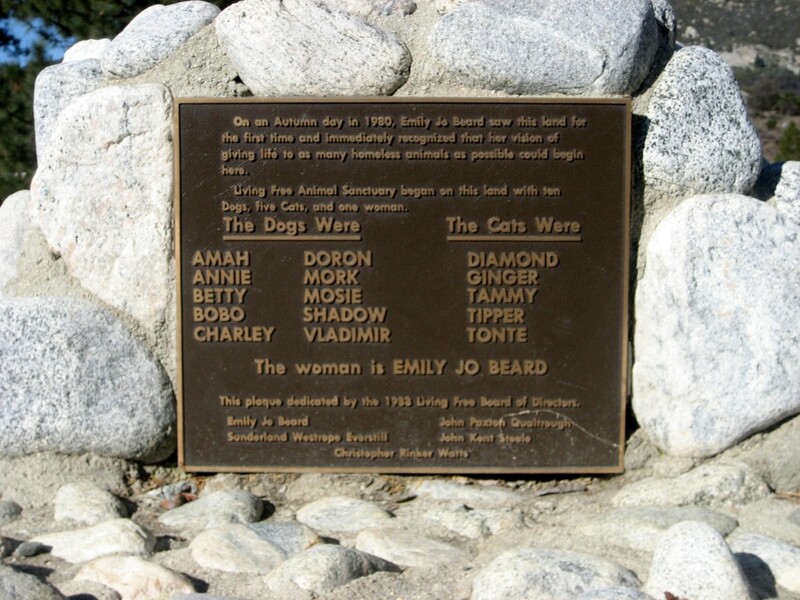 With, as the plaque at the flagpole states, “Ten dogs, five cats, and one woman,” it is one of the earliest privately funded no-kill sanctuaries. The animals, cats, dogs, horses, burros, and a couple of sheep, live in a safe environment without having to be caged, where they are cared for and loved until they find a forever home or, as Emily said, “will live out their lives in dignity and peace at Living Free.” All of the animals have been rescued from shelters where they were slated for euthanasia. This beautiful facility sits easily on the landscape, feeling a part of rather than taking over nature. It was seemed holistic, somehow, seeing woodpeckers enjoy the sides of the wooden buildings with the same aplomb as the abundant trees. In touring the facility, I was wholly impressed with the layout. We started first with the dogs that are provided with amazing runs, each with a shelter area, and plenty of room. In stopping next to a bulletin board, Steve, our guide, pointed out the posted pictures showing that already, since January 1, five adoptions have taken place. Soon it would be six as some folks were there visiting with several dogs, trying to make what appeared to be turning out to be a very difficult decision. Last year, Living Free placed 125 dogs. Full disclosure, my parents had adopted one of those 125, an adorable little terrier mix named Scooter. In fact, my awareness of Living Free was directly due to their being so impressed with the facility. It was designated as a “must do,” during my visit. 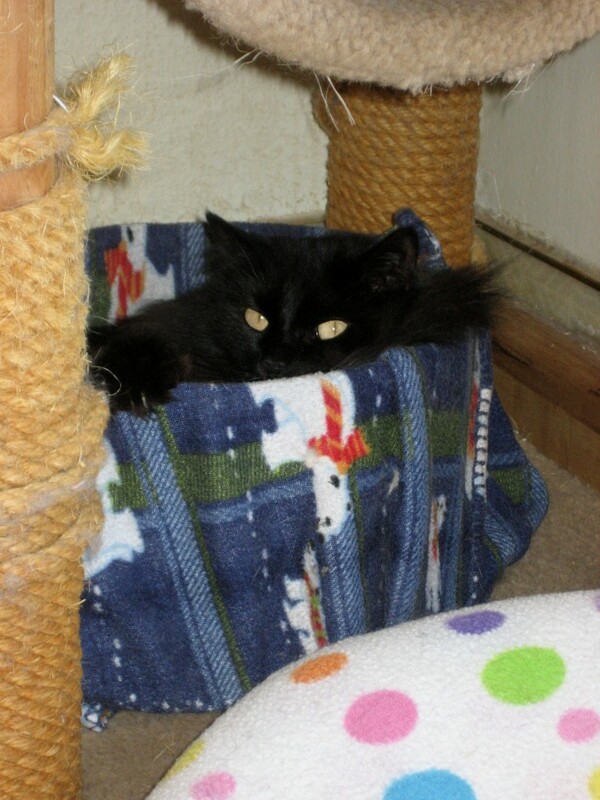 Scooter came along, too, but was not permitted past a certain point as he now had his own forever home. Still that did not keep the staff members from coming out to fawn all over him. It was clear, to me, the staff of Living Free has genuine attachments to each and every animal here and that a connection remains, even after adoption. 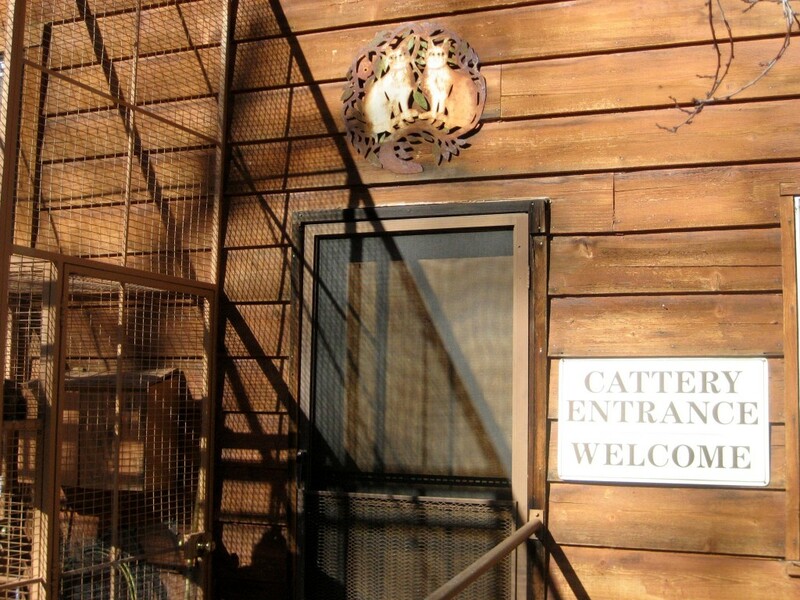 I was particularly eager to see the Cattery, particularly after being completely charmed by the cats that were part of the welcoming committee at the Visitor Center. 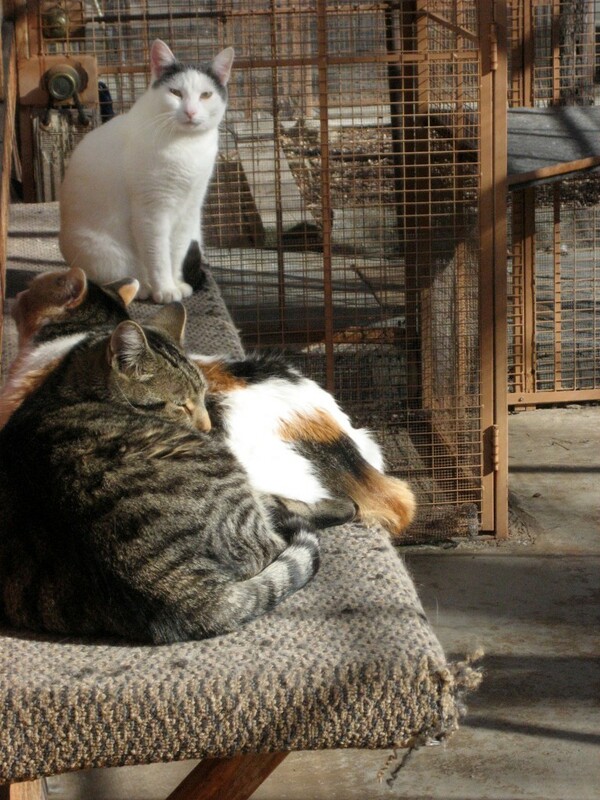 The cats are free to roam about their assigned areas which include indoor and outdoor facilities, cat beds, pillows, rocking chairs for guests, and more scratching posts than any cat could probably imagine. There are all kinds of cats, short-hair, long-hair, domestic, even a purebred Tonkinese whose owner, sadly, had passed away. The Cattery Manager, Matt, knew every cat by name and personality, including Beyonce, whom he looked for so we could pet her “incredibly soft coat.” Of note, Beyonce, once found, preferred to have some “me” time and chose not to cooperate as was her prerogative. In spite of Beyonce’s indifference, there was a lot of rubbing and purring, a cat named Posie taking a particular liking to my Dad. What I saw at the Cattery, Kennel, on the grounds, and in the Office was the very personification of Emily’s dream. No-kill shelters and rescues save many lives and Living Free has created an initiative, “Almost Home | 2020,” to see every shelter across the country become a no-kill shelter. 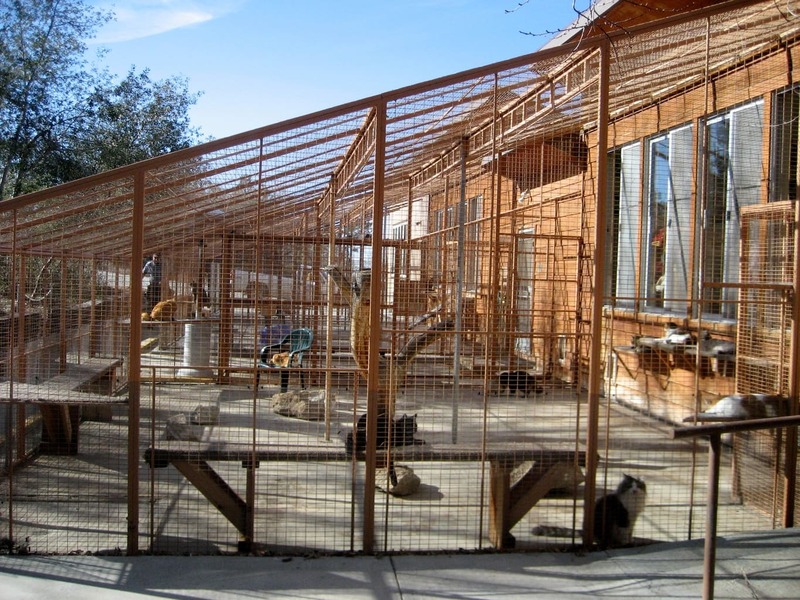 Ambitious as it seems, they visibly live and breathe their mission, “to save cats and dogs that have been abandoned to shelters and are scheduled to be euthanized.” Their collective actions speak volumes to their cause. Just before we left Living Free, a cat adoption was taking place. The couple standing in the Office seemed equally excited and nervous as they were escorted to Meadow House where the adoption becomes formal. 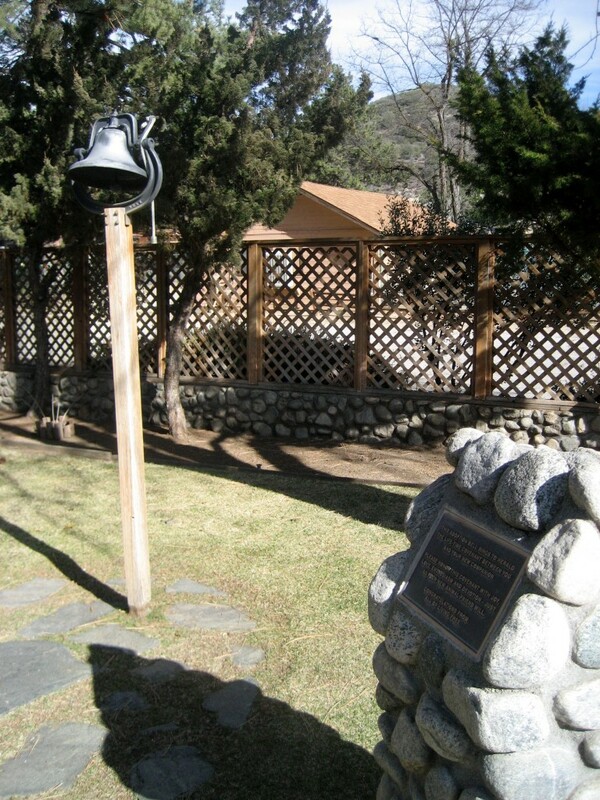 There is a plaque and a bell which stand before the small building. 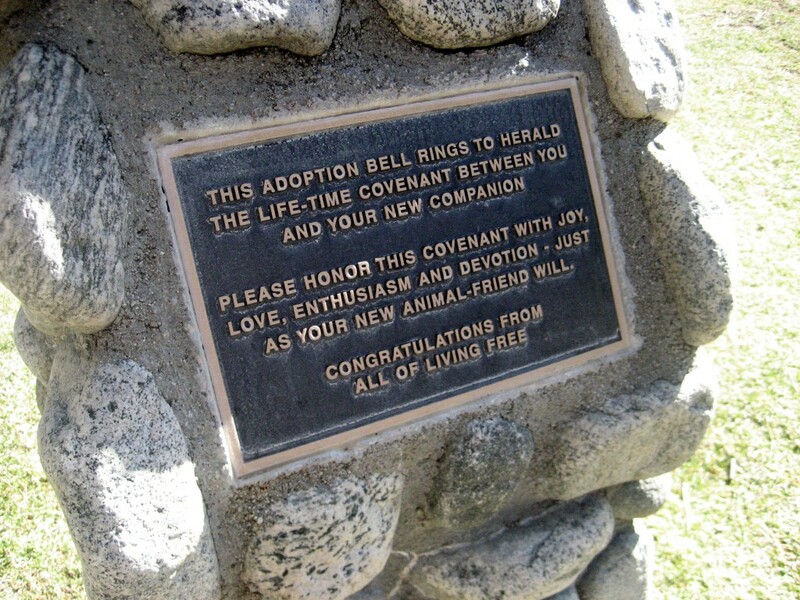 After the formalities of paperwork, the words on the plaque are read aloud by the new adoptive pet parents, followed by the ringing of the bell which could be heard loud and clear from where I stood. 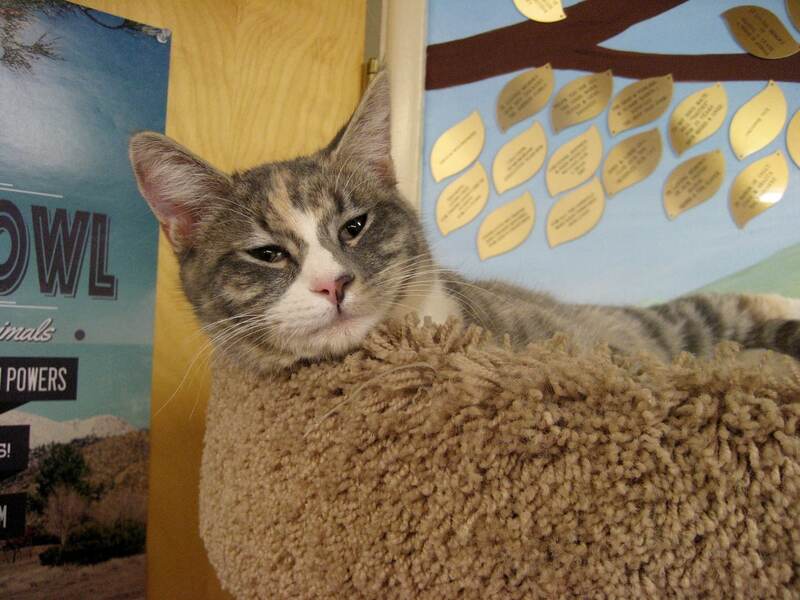 A proclamation, of sorts, came over the walkie-talkie announcing Nadia, the cat, had found her forever home. One by one, voices responded representing the Kennel, Cattery, and Office, among other areas, each expressing their congratulations to Nadia. And there wasn’t a dry eye to be found. If the location was mentioned, I missed it. Where is this place? Hi. 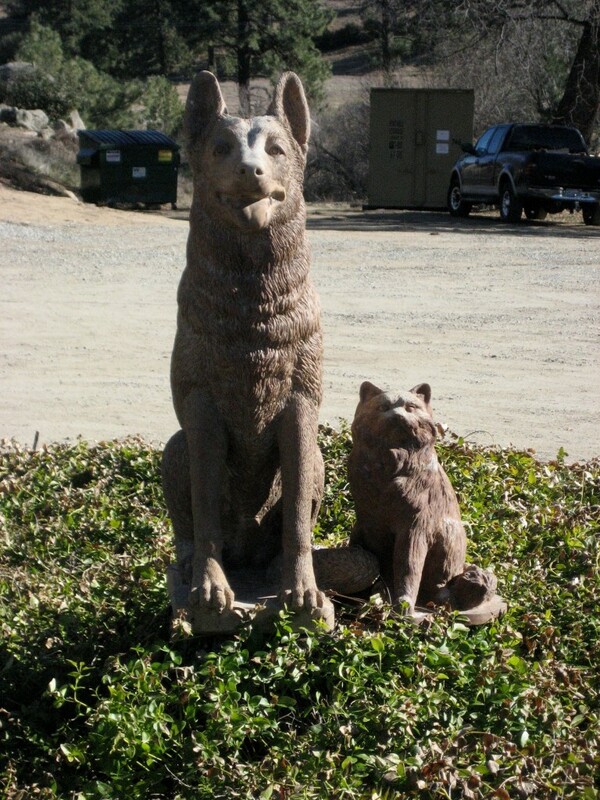 It is located in California, specifically in Mountain Center, CA. You can find them here http://living-free.org/. I am looking for a safe and loving home for an approximate 11 year old male blind and loving dog. Is this by chance something your organization can assist me with?